Investing on a good impact wrench is a great idea. Whether you are a professional or a home owner, you can use it both for garage or industrial purposes. It can make things easier and get things done faster. By using the tool, one’s efficiency is greatly increased leading to the productivity of the company. There are a lot of available impact wrenches in the market right now. It is very hard not to compare the different types of impact wrench because each one has its own advantages and disadvantages. 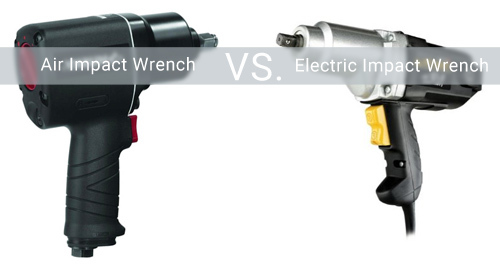 It has long been debated which is better: Air Impact Wrench or Electric Impact Wrench. Here are some points of comparison between the two. 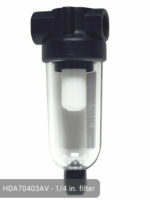 This is one of most basic things that consumers consider because the portability of the tool will depend on this one. Generally speaking, an electric impact wrench weighs much less than an air impact wrench. Because of this, users who have high-volume tasks prefer to use it because they will still be comfortable in carrying the tool despite long working hours. It is also very critical to look at the power output of both types because it is the reason why you actually decided to buy one. You need the force that an impact wrench can provide to make your work easier. Both types can produce a very powerful output. However, an electric impact wrench was found to provide a greater level of power that is consistent. When working on heavy-duty projects, you would want something that would not give up on you in the middle of the task. 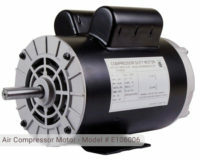 Because an air impact wrench would rely on an air compressor for its supply, it has a tendency to fluctuate depending on the quality of the compressed air that is being delivered by the compressor. However, the large force that an air impact wrench can provide would be an advantage in removing bolts of all sorts. The powerful torque of the air impact wrench makes it very reliable. Having an impact wrench is very convenient in itself already. However, things can be more convenient when you have the right type of wrench that will work best for you. 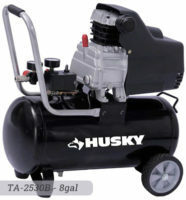 If you have an air compressor that is readily available, you may choose to go with the air impact wrench. However, if you do not have one, it might be better for you to go with the electric impact wrench. With the latter, you will only need an electrical power outlet to use the tool so it would be more convenient. Both can be used to either help you with your automotive tasks or simple jobs around the house. We all want the latest updates to be featured in the tool that we have. Air impact wrenches are more advanced when it comes to the level of technology. The structures and designs are more complex and were engineered to withstand a longer run time. Electric impact wrenches, on the other hand, has also been improving in terms of high-level technology. If you are working on a tight budget, this is probably one of your biggest considerations. Most models of impact wrench can be bought at an affordable price. It may seem expensive for some but the quality of service that it provides can definitely justify the price. Air impact wrench can be considered as more expensive because you would also have to buy an air compressor to operate it. To use an electric impact wrench, you do not need to buy any other piece of equipment. This fact alone makes the electric one much less expensive than the air impact wrench. This is a big factor for people who are always on the go. Also, most people want to be able to use the wrench for emergency purposes so they want the wrench to be very portable. Both types are lightweight and compact. For electric impact wrench, however, you might not be able to find a power outlet anywhere you go. Thus, you would not be able to use it. On the other hand, for an air impact wrench, you can use it as long as your air compressor is also portable. 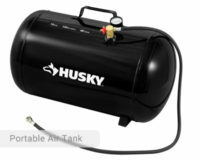 If you have a huge air compressor, you cannot bring it with you. Although this is a minor detail, it is very important for home owners who value quiet operations to avoid disturbing other people who may be sleeping or working also. An electric impact wrench works more quietly than an air impact wrench for the basic fact that it has no air compressor noise on the background. 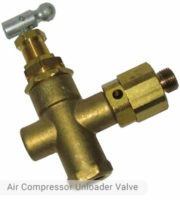 Your family and neighbors would definitely appreciate if you will be able to lessen the noise that your tool produces. These are just some of the factors that you need to take a look at. As you can see, each type of wrench provides pros and cons that need careful consideration. The buyer should weigh these options and choose wisely so as to avoid wasting time, money, and effort. One of the things that the buyer can do is to determine the types of activities that he/she will be doing so that he/she can identify what will work best for him/her. It becomes much easier when you know the purpose of why you are buying something. Do not worry because whatever you choose, your burden has already been decreased because all of them will make your life easier. You may also search online and read for feedbacks and reviews of the two types of impact wrench. They can be considered as reliable because they already have a first-experience in using the tools. Be careful though because some are just trolls in the internet. Make sure that you sift through the comments that will affect your decision-making process. A lot of websites offer detailed explanations on the specifications of a certain tool so you do not have to worry because this task is simple.